Why do we water in Maritime PNW? After all, don’t we get the most rainfall in the country? Most of you know the answer, right? It depends on what time of year you are talking about. For some comparisons, here is a list of cities with their average Jul max/min temps and their average JJA rainfall. Didn’t know that you were spending your summers on the Mediterranean shore did you? The cities above are there for a reason. Forest Grove we’ll come to later in the week but I picked Des Moines for corn and Syracuse for a Cornel U. professor that I’ll quote later and they are in agricultural regions and not urban heat islands. Dijon is in the Burgundy region of France where they eat fresh asparagus, tomatoes, etc. in about the same months of year that we do. Naples was the source of the original San Marzano sauce tomato that we can’t grow here. Let’s go a little deeper than Marty did into the soil for a minute. The following table is from Steve Solomon’s Growing Vegetables West of the Cascades, which those of you that visit the Edible Forum know is our PNW bible. More detailed (1” = 1 mile maps) and soil specific sources are available but to get a sense let’s consider just three soil types. “In arid regions such as the western United States, summer rainfall is insufficient to meet crop water demands. Irrigation is therefore necessary to make up the difference between available water and crop water demand. Crops use water from the soil profile by a process called "evapoptranspiration", or "ET" for short. ET is the combination of evaporation from the soil surface and transpiration of water through the plant's leaves. Plants will take up water from the soil profile by the plant roots to replace the water lost from transpiration. As soils become dryer, the soil moisture is more difficult for the plant roots to obtain. At some point (just after the management allowed depletion level), the plant becomes stressed. As the soils become even drier, the plant will eventually reach its permanent wilting point. “One of the simplest forms of scientific irrigation scheduling is called the "checkbook method". It is so named because of its similarity to balancing a checking account. In this case, however, we are balancing available water in the soil moisture account, not dollars in a checking account. Evapotranspiration accounts for the withdrawals from the soil moisture account, and irrigation or effective natural rainfall are the deposits to the account. Now the word “crop” is something those of us on the Edible Forum understand and much information is available for growing most of our vegetables in Maritime PNW conditions. The rest of you know the meaning of perennial survival or huge blossom yields. What about the equipment? Should you go low tech or high tech in your irrigation system? All of the above and more will be forth coming during this week but by now I have exceeded my 800 word limit on the first posting so you’ll have to come back later. Do post your questions as to specifics and use family names for your landscape plants. Since asparagus is in the lily family, couldn’t its ET give us an idea of the needs of other lilies? Wow, Gary, great information! The more we know about our region and its growing climate, the better we can garden. I have a few things I need your help clarifying (remember my insomnia means brain cells running on less than optimum so please forgive stupid questions - thanks!). What does "average JJA precip" mean? Am I correct in interpreting this as 70% saturation? So if clay soil is at this percentage, it needs less than an inch (.75") to make it 100% saturated? And does 100% saturation mean water-logged? Oh, I can't think how to ask my question . . . plants' roots need water and air so water-logged isn't the goal, right? So is capacity referring to optimum capacity and not water-logged? Why the 70% parameter? Is there something magical about this number? I know clay soil is hard to get wet once it is bone dry (oh, boy, do I know!) and it is extra work to water the garden when clay soil completely dries out. I did not know that water in clay soil moves horizontally (from Marty Wingate's article - thanks for including this) not vertically. Interesting info. Good irrigation scheduling also maximizes the use of fertilizers by not "pushing" the nutrients down below the root zone due to deep percolation from over-irrigation. I have always heard that infrequent, deep watering was best because it encourages plants' roots to grow deeper into the soil, making the plant stronger and more able to withstand periods of drought (larger root system). But the sentence above seems to contradict that because that type of watering would push nutrients deeper. Or would that only be a problem if poor irrigation practices have kept the plants' roots too close to the surface? Wow, interesting to note that asparagus (I didn't know it was a lily family member!) might have the same ET requirements as other lily family members. As I was watering yesterday, I noted several plants that are billed as drought tolerant but are actually faring worse in this weather than plants deemed water hogs. For instance, a Salvia chiapensis was wilted while the hostas next to them (all in pots still) looked unfazed. The salvia has perked up since watering but I would have expected the plants to have responded completely opposite. I noted this contrary-to-expectation response in many plants during last year's hot, dry spell. Does this have to do with the plant's ET? Or is the soil/plant combination. I hope my questions make sense, Gary. Thanks for hosting this topic and doing so much research for us! Oh, I'm rubbing my hands together because this info-maniac is very, very happy! And I can see that I need another cuppa to get the brain cells fired up to absorb it all! __________________ Gardening in Sunset Zone 6, USDA Zone 8. The Sunset Western Landscaping book has similar information that really opened my eyes. It features a chart showing rainfalls both east and west of the 100th meridian (a vertical line running north to south thru the middle of the Plains States). In cities having the same relative position both east and west of the line, the cities to the west of the 100th meridian receive only half (or much less than half)the summer-time rainfall as their eastern counterparts. Thus, Seattle receives 10.42 inches rainfall from May 1-October 31 while Boston receives 19.57 inches; Salt Lake City receives 6.11 inches while St. Louis receives 18.47 inches; El Paso, TX receives 5.33 inches while Dallas receives 16.4 inches. However, I don't see the lack of summer rainfall as being as problematic as the winter wet--or maybe it's the combo of cold and wet that makes it so difficult to over-winter lots of drought tolerant plants. As today is Fathers Day and I am the chef here (except for desserts), I will answer yesterday’s questions and follow the recommendations of a friend by giving you a brief outline of what I have coming later. Lisa’s next question was on my use of 70% of capacity. Solomon defines it this way, “A layer of soil that has absorbed all the water it can hold against the force of gravity is said to be at field capacity. Its like a sponge holding all the water it can. Add any more some starts to drop out the bottom." So I would not call the soil waterlogged but to use Lisa’s phrase, the soil is at optimum capacity. He uses the following table to illustrate soil moisture and plant needs. Later I will provide some example plants and vegetables and their tolerance to levels of soil moisture. I hope to also answer all her “deep watering” questions with information that will allow you to look at your own soil and plant needs. Let's just say now that deep watering should only be to the ‘field capacity’ of the soil layer in use. On Lisa’s potted plants with “contrary-to-expectation responses”, it could be the word “potted”. The expectations are probably for in the ground plants. Asparagus roots and many other plants can go below 6 feet to find water but I don’t think her pot is that big (or her husband is a lot bigger than I am). And Emily is sure right about our winter wet/cool climate caused plant fatalities. Travis and I lose more over winter lettuce/spinach to the wet than we do to the cold. A simple clear plastic cloche is our solution but then we garden in 3-4 foot wide rectangular beds or other non-artistic 'Engineer style' layouts so a cloche is a simple matter of some wire hoops down the bed. Now to list most of the information to come. Example plant soil depth needs. Thanks for answering my questions, Gary. Good info in those 2 links. I water my garden smarter and more efficiently than I once did but I can see from your list of what's to come that I'll find ways to improve what I'm already doing. I'd love to be able to have healthy plants and a reduced water bill. Eagerly waiting for more information. Especially learning more about ET and how it applies to my garden. btw, I'd love to see a show of hands of those who have sliced through sprinkler hose while digging in their garden. C'mon, I can't be the only one! Happy Father's Day to you and all our dads here! I prefer hand watering. But I don't like to do it every day. Remember how hot and dreary it was last summer? Well, I backed off on watering for 2 weeks in August, and said "if it dies, it dies" and I'll take the rest. So I chopped off the few that bit the dust, and knew what was rooted deep enough to endure. This year's rule, for the front, which had no lawn - watering in once thoroughly each weekend. And that should be enough. Summer is usually quite long and dry here. My technique for monitoring newly planted trees - is a sharpened dowel shoved into the root ball of trees. For my customers, it's the best thing since sliced bread. There's almost no room for failure. So I put a photo with a caption and link on my home page to direct to my watering advice where I suggest that method. How else can someone know how much water is in an area that a finger won't go - without using electrical devices? Oh... on the first post - Forest Grove. I recall that't in a "belt" that runs south from there and includes part of Aloha and curves south and southeast. Apparently the rainfall there - yearly - is about 10" less than Beaverton on the east, or McMinnville on the west. There is supposed to be a higher concentration or population of Arbutus and ponderosa pine in that belt. Great articles, Gary, Emily. Thanks for the info. It's really interesting to know what "wilting point" some plants have. That's amazing to see the difference in precip around the country. I didn't realize how much rain Des Moines, Dallas, etc. gets as opposed to cities west of the 100th meridian. I use drip irrigation for my ornamental and vegie garden. It's the best way to get water to individual plants without watering areas where there are no plants like a soaker hose. But yes, Lisa, I have poked holes into the tube more than once! The only draw back to drippers is that they can be time consuming to install if you have a lot of plants! But it sure is nice not to HAVE to water by hand! I would have to look at the topography for the reasons for the Forest Grove dry region but it doesn't surprise me. I recall a one year rainfall study within the Seattle city limits some years back by UW. The highest rainfall location got 3 times the rainfall of the lowest rain guage site. And this is a city between two bodies of water about 6 miles wide by 15 miles long. With the low cost of the simple plastic rain guages, anyone on city water could easily afford a new one for each of the 6 or so months a year we need to water. More about that later. I do like that sharp dowel idea. And as I am an "intensive" vegetable grower (I don't do flowers! ), I look forward to your further comments on watering landscape plants. The Bureau of Reclamation maintains many stations in the PNW, which post ET on their web pages. For example, here is a chart from the Aurora, OR site. There are many other Western Oregon locations but unfortunately for us Northerners only Eastern Washington is covered. I have compared the last 80 days at Forest Grove, Aurora, and my local Tumwater Valley Golf Course there is close similarity in the numbers using weekly totals. I believe that at least one or more of the cities east of Lake Washington are also making ET’s available. I will post whatever I find later. Example plant soil depth and plant water needs. You can see that the growth period of the crop causes most of the difference in total irrigation needed for these crops. All the TSE amounts above will be reduced by effective rainfall. Farmers can use these guide worksheets to schedule their irrigation depending on their own soil. To illustrate from the above; Broccoli irrigation interval in sandy loam is 2.5 days at peak ET but the extra holding ability of loamy clay stretches that to 4 days. In the same soils, the irrigation periods stretch to 12 and 21 days for orchard fruit because of the bigger depletion allowable and the extra soil depth. 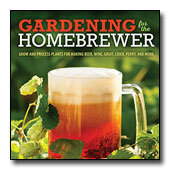 If you study one of the guides, you will learn an important point for home gardeners. The soil depths above need to be adjusted if your soil has a hard pan or other barrier under the surface. Few of you still have sand at 60” as I do. All to often the only topsoil a housing development has is the 4 or so inches necessary to roll the turf on so they can sell the house. And what is there is totally compacted. Work has been done in CA to find the minimum and maximum on some other plants that may interest you. The minimum is defined as the inches per acre for survival with little or production, when plants are planted far enough apart to eliminate root competition. The maximum represents the transpiration where the plants are planted closely enough that their canopies nearly touch, abundant water is available to the roots, and the climate is favorable. When does limited watering payoff the most in yields? Remember that with the 2” of rain per month in a London summer, these cabbages were also getting about ½ inch of water per week. Flower growers for cutting may gain more from the wilting information that food yield comparison but do remember that spacing of the plants also affects the water needs. From the Seattle Utilities site above: "Using the same watering schedule during the entire season is one of the most wasteful landscape practices found." Oops, I'm guilty of that! I think we have come to rely on our sprinkler timer to do the thinking for us and have gotten lazy. I was also surprised to see the recommendation to water the lawn 2-3 times per week. We water weekly, deeply, but no more *unless* the lawn is showing signs of stress - not bouncing back when it is stepped on. "Farmers can use these guide worksheets to schedule their irrigation depending on their own soil. To illustrate from the above; Broccoli irrigation interval in sandy loam is 2.5 days at peak ET but the extra holding ability of loamy clay stretches that to 4 days." Math challenged here . . . how did you arrive at the above conclusion? I'm assuming that you must have used some type of formula. Glen Andresen with Metro's Natural Gardening program has an ingenious watering method (I'll try to find a pic to post) using PVC pipe and small holes drilled in at various angles. He has it set so he turns it on and off manually with shut-off valves at individual beds so he can regulate which crops get watered and when. He MOL keeps crops with like needs grouped together in the many beds he has, which makes his watering routine easier. I've often wondered how the home gardener with many crops in one or two beds is supposed to manage different watering needs of the crops. Tips and suggestions appreciated! I have more questions but I need to re-read and digest your information before posting. Plus I need to get over my post-lunch brain drain. Thanks for taking the time to do all this research and pull all this information together for us! Good and timely topic, Gary. I am absorbing a lot here, but I am not understanding some of this, so I will be back later after I catch up and ask my questions. "I used to have a handle on life, than it broke." "Math challenged here . . . how did you arrive at the above conclusion? I'm assuming that you must have used some type of formula." For the loamy clay, I used 0.195 as the "a" AWC. In sandy soil, the "a" can be as low as 0.08 and in clay it is close to 0.25 so we could have a range "e" from 2 days to almost 6 days depending on the soil type. In the orchard calculation, the "b" percentage increases to 75; the rooting depth to 36"; and the Peak ET drops to 0.25. In other words, we are calculating the holding capacity of the soil texture in the rooting depth (0.12 * 18), then multiplying that by the the percentage of allowable depletion for the crop (30), to get the amount of moisture that we can lose. Then we divide by the ET per day (0.27) to find the number of days. The 100 above just corrects for using the whole number 30% instead of 0.30. Rooting depth means we are now talking about how deep to water and that is a big part of today's main posting so read on later. As for me, my lawn is already browning and drying out. We have prairie land here......tons of rocks w/ great drainage that unfortunately works against us "green-lawners" in the heat of JJA. We did aerate in the early spring to allow for more root production and better water absorption, but so far, it doesnt seem to have helped much. Any suggestions here? Jeanne, It is amazing, isn't this? I remember learning this during Master Gardener's training, years ago, and I was surprised! Here in Kingston, we average 24 inches of rain a year as opposed to 39 in Seattle. Having just driven through Sequim which is probably one of our driest spots in western Washington which averages 17 inches a year, we are almost talking desert like conditions. They are fast becoming the lavender capital of the year, and what a great crop to grow with those conditions. Both Kingston and Sequim are in the rain shadow of the Olympics. Whidbey Island is also in the rain shadow. So growing crops makes irrigating an important thing to consider. We also have a high population of arbutus. Is this an indicator plant of low rainfall areas? "Carefree" refers more to the plant's attitude than to your workload. I don't know for sure, Deb, but I would think Madrone would be a great indicator. They certainly do like less rain and a fast draining soil. Are you able to grow cacti or agave? That's interesting about the peak ET for sandy loam. I have more of a regular loam in my veggie/ornamental garden. It would be good to know how little I can irrigate and still get great tomatoes and cukes. I may be over irrigating even though they are drippers. Can some veggies be grouped together in their Maximum Allowable depletion or effective rooting depth? I couldn’t ignore that lovely 10 knot wind and the below 60F temps early yesterday morning so I spent some hours weeding and planting. At my age some minutes is enough to wear and wet me out, so I didn’t feel real creative when I came in. I did do some more research and got into a frustrating discussion with a Central Puget Sound municipal employee about why there is no local net of weather stations to give us ET data. Since the particular city owns 3 golf courses, I do not see the problem of posting that information daily. She and her committee think “inches of water per day” is too complex a formula and beyond understanding. Art isn’t easy. It’s not something you do because you’re not a whiz in math – that’s journalism . . . . .
“If you water your garden at high noon on a summer day, the water is mostly lost to evaporation. Watering in the evening is beneficial for crops that prefer cool weather such as lettuce and spinach (these greens also like to have their leaves wash in hot, dusty climates). The water cools down the soil after a hot day and helps prevent the plants from bolting. “Statistically in the Maritime Northwest, most rain falls between the hours of 3 and 6 AM. Evaporatively speaking, this is also the most efficient time to water, but if you don’t like to get up that early, try to water before 10 AM. This will help reduce evaporation; make the soil darker and able to absorb more heat; and is a good method to use for heat-loving plants like basil, peppers, and eggplants. Carl’s advice just about says it all on timing. But not all, Solomon (and I) used to water with an Israeli developed (Naan) low volume sprinkler (1 or 2 tenths of an inch per hour) and on ‘slow to absorb’ clay soil, he would water his plants all night because of a 3-gallon per minute well. He did not fear that the small volumes of water were harmful in our low-humidity summers; “Watering all night continuously washes bacteria and fungus spores off the plants before they can do any damage.” Solomon, p. 142. So one column is how fast the water will flow downward and the other is how deep one inch of water (62 gals) on 100 square feet of soil will be held without runoff or saturation. (Note that the depth closely conforms to the Solomon numbers I used early on; eg, one inch of water fills a foot of sandy soil but it will take about 4 inches of water to fill a foot of clay.) Kourik also compares the percolation rates on slopes versus the flat soil in the above table. On a 10 percent slope the rates drop by 40% and by 60% on a 20 percent slope. So you will have to reduce your water rate per hour by half if your ground rises 1.5 feet in each ten feet across the yard. · Deep roots don’t mean deep watering. For the sake of quality growth, as opposed to sheer survival, the upper 1 to 2 feet of the soil accounts for over 50% of all the water a plant absorbs. · Soils aren’t always deep. Remember, deep glacially deposited top soils is more the exception than the rule. More typically, most suburban yards have a very shallow layer of topsoil. · Irrigate frequently. Frequent waterings produce the best-looking foliage growth, the most abundant blooms, and the highest yields. · Frequent irrigation can use less water. Daily irrigation doesn’t mean using countless gallons of extra water. In fact, with infrequent irrigation, it takes a certain amount of water just to rehydrate the soil before the plant can even make use of the moisture. So with two feet of soil to work with, the answer to how deep to water most depends your needs. Are you trying for prize fresh corn or tomatoes, survival of your perennials, or something in between? How much you should water and how frequently is largely based upon your soil type. An inch of water will fill one foot of my sandy soil but only 3” of my sister’s clay. At a foot deep, I am reaching the limit of my lawn grasses but she may still have 50% of her lawn water available to the grass. There have to be lots of questions left but like the list below that will have to wait until tomorrow. My veggies grow in a tiny corner of my city lot. After prepping the soil, I use landscape staples to secure a drip hose along the garden rows. THEN, I plant the garden. Art isn’t easy. It’s not something you do because you’re not a whiz in math – that’s journalism . . . . ."
Hey now, I minored in journalism and art. The water cools down the soil after a hot day and helps prevent the plants from bolting. So would this mean we should water the cool crops in the evening and the heat loving crops in the morning? Ok so for my clay soil I need to water at least 4 inches? That seems like way too much. But it seems because I have a slope I can get away with less. Am I understanding this correctly? “Many gardeners think it’s necessary to water deeply, which often leads to the habit of infrequent but lengthy irrigations. Of course, ‘deeply’ is a very relative word. " I was taught to water once a week and deeply. So I should water more than once a week and not worry about watering deep? "· Irrigate frequently. Frequent waterings produce the best-looking foliage growth, the most abundant blooms, and the highest yields. · Frequent irrigation can use less water. Daily irrigation doesn’t mean using countless gallons of extra water. In fact, with infrequent irrigation, it takes a certain amount of water just to rehydrate the soil before the plant can even make use of the moisture." Cut flowers, perennials a few vegies is what I water. I want good flower production in my cutting garden. The rehydration part makes sense, as I do know how hard it is to rehydrate potting soil if it dries out. Takes a good soaking for quite awhile before it will hold water again. I want to play devil's advocate here on these two points. I'm not meaning to argue with the concept of drip irrigation. On point one: Maybe I missed this because I read through this thread rather too fast - but what is this "statement of fact" based on again? Who ran the trials? On point two: To me this just plain smacks of an author (not you Gary!) throwing out an idea that sounded good without really thinking it through. It's going to take the same amount of water to keep a given volume of particular soil hydrated - whether it's applied in small amounts frequently or in larger amounts infrequently. Stating that letting it dry out between waterings will somehow require more water overall just doesn't make sense. Applying that water frequently in small amounts doesn't somehow lessen the water-holding capacity of the soil - to keep it from drying out has to take at least the same amount of water over time as it'd take to bring dry soil back up to capacity. Gary, I really appreciate all of the info--especially the fact that I can find it in one place at one time. Keep it coming. When you're all through, I intend to print the discussion and save it for reference. Thanks! I have a question about the perc. rates versus total water holding capacity. To use clay soils as an example, it would seem as is if .4-.8" water could theoretically penetrate to a 1 foot depth while other info shows that 1 foot of clay could hold 4" of water. Independently, both bits of information make complete sense to me but, together, I see an at-least-superficial conflict. Is the absorbtion/perc. rate info non-linear? Does the water perc. thru the soil without completely wetting it? I envision the "check-book method" when I water--so would it be advisable to start with a "full bank account" and try for complete saturation before adding water based on ET rates? EmilyK, I lived in South Kitsap for a number of years and I wish I had that soil here in Oregon. Do you need some gumbo clay? maybe we can work a swap. I'm very interested in this topic because I'm (mostly done) installing drip irrigation in my raised vegetable beds this year and I've had to use seat of the pants estimates for sizing the emitters and for frequency of watering. I've installed two 1-gph emitters for each tomato plant: about eight inches on either side of the stem. During the warmer weather we've had, one hour twice a week keeps things very moist but not soggy. I added several yards of mint compost during the winter and am finding that the soil is holding the moisture very well, better than I would have guessed. I don't use a mulch because of slugs. Let me answer Travis’ questions as best I can. He is commenting on summarizations I did of two points by Kourik. Let me present Kourik in full first. ·” (#1) Irrigate frequently. As mentioned earlier frequent waterings produce the best-looking foliage growth, the most abundant blooms, and the highest yields. ·” (#2) Frequent irrigation can use less water. Daily irrigation doesn’t mean using countless gallons of extra water. In fact, with infrequent irrigation, it takes a certain amount of water just to rehydrate the soil before the plant can even make use of the moisture. Oddly enough, infrequent waterings can use more water than the same planting would receive with frequent, even daily, irrigation. “Years ago, for example, I planted a drought-resistant landscape, with plants such as lavender, santolina, rockroses, and rosemary for my neighbor Mary Burke. I followed the same steps for soil preparation and preirrigation outlined on page 31. The day after planting, the timer was set to irrigate each zone for 15 minutes. After the risk of transplant shock was over, the irrigation lines were turned on each day for only 8 minutes. The plants flourished, even though each ½-gph emitter was distributing the paltry amount of 7 tablespoons of water per emitter each day. Contrast this with a nearby garden with a similar soil and lavender plants arbitrarily watered only twice a month for four hours. This amounts to 2 gallons per emitter for the two-week period, or just more than 18 tablespoons of water per day – more than twice the water used in Mary’s flourishing landscape. One can see that I was pulling just Kourik’s opening statements without the previous or follow on explanations. On point #1, he states earlier that, “The roots of plants get a majority of their water and nutrition for good growth and high yields from the upper 50% of their root zone.” Corn is one of the example studies he cites. Corn (a grass family member) was found to get 42% of its water use in the first foot of root depth and 29% more in the second foot of depth. The percentages of water use for the 3rd and 4th foot of root depth were 19% and 10% respectively. I’ll cite two other quick ones to reinforce importance of the top two feet; the water percentages by depth for a peach tree were found to be 34%, 28%, and 22% in the third foot; a pear tree received 29% in the first foot with declining amounts of 22%, 17%, 12%, 10%, & 10% down to the 6 foot of root depth. Each example confirms the importance of the top two feet of the root zone for watering but it is also very important for nutrients. “The upper layers of soil are also the most aerobic, with the highest populations of air-loving bacteria and soil flora. . .. These bacteria and flora are responsible for the decomposition of organic matter and liberation of mineralized nutrients into a soluble form that the plant can absorb. . . .Infrequent, deep irrigations tend to produce two points in the watering cycle where the soil life is damaged enough to reduce or prevent growth – during the drying stage and when the soil is too wet.” This layer has the highest density of soil biota in the first three inches where from twice to five times the biota were found than at 8-10 inches. A good argument for maintaining the soil at the moist sponge stage. So given good, expensive equipment our wind and evaporation losses are not as significant as they would be in a windy arid climate. And homeowners can redue this loss more by using Eliott's 3-6 AM time period of high humidity and low wind. And commenting on good, expensive sprinklers is what I’m suppose to be doing next so I’ll end this post now with a short postscript. In his acknowledgments at the begining of his book, Kourik, of course, lists Mary Burke (of the Irish Burkes as opposed to the Yorkshire Burks) and among many others, Chester Aaron. He identifies Aaron as "A good buddy and steadfast friend with whom I can commiserate on the difficulties and injustices in the publishing world -- not to mention our shared love of garlic, lots of garlic." Those who follow my postings on the Edible Forum know that I am also one of those lots of garlic guys. And Chester Aaron has written at least two good books on the great edible. With growing info, recipes, tastings, and all other possible tales, they are a good read and I recommend that you at least have your library get a you a copy of them. I have no argument at all with the efficiency of drip irrigation versus using sprinklers. I keep intending to set up a drip system; but still haven't managed to actually do it! I'm a champion procrastinator unfortunately. I do water overnight (.1 inch/hour sprinkler), so evaporation should be minimized; but of course it'll still occur somewhat. Plus (as Gary has pointed out before) I'm giving equal coverage to my garden's paths and the area immediately outside the garden - so that's a non-trivial amount of water being essentially wasted. Not to mention that the weeds in the paths certainly grow that much better since they are receiving goodly amounts of water. Gary, I haven't seen you comment on exactly what sources you've used to get your various parts. Do you just go down to Home Depot, consult with and order from from DripWorks, or have you purchased your equipment somewhere else? New (well, sorta) - Updated vegetable garden timetable! I'm following your TOTW with great interest and even partial understanding, as I slept thro most of my bio classes at school, it was the sixties and I was a lit major. My approach to watering has always been a combination of intuition and frugality to the point of cheapness. As an example, Travis is describing his emitter placement for his vegetable garden--will the hose/emitter pattern work next year or will he have to start over with new, ok it is cheap, hose?? My only experience with significant veggie production was on flat ground and I used 3/4 inch black pvc with 1/8th inch holes where I wanted them, real inexpensive and good for patch and redrill. Just my 2cents worth. A comment on sources: I have always had good success with wholesale houses for supplies if I was willing to wait my turn and admit my purchase might be small---and I had cash. For example, John Deere recently purchased the Rain Bird Irrigation wholesale house in my area, but when I went looking for barbed inserts to build my soaker hose matrix they not only were willing to sell to me but recommended a much cheaper alternative to the name brand. You might be surprised that the Homeless Despot is sometimes the most expensive place to shop; certainly the most expensive place to buy red oak hardwood. I eagerly await the next installment, does Lisa really charge you garlic bulbs for each word over 800??? anybody got any spare weeds to pull?? Ways to apply the water. All of us have experience with hose end watering. In fact, as one writer I found in my research said, some will never ‘upgrade’ from simple nozzle because they enjoy the fresh air, the gentle arm and body exercise, the setting of the sun, and the emergence of the evening stars. As most of you have guessed now by the timing of my postings, I am often asleep before sunset during the watering time of year. I’ve had to find other ways. A week ago Barbara Damrosch wrote in the WA Post on her simple approach to water for her yard and garden on the SE Maine coast. It is easier for me to link you to the column than to repeat some of it. Besides her column should be near the top of garden reading list every Thursday. When watering by hand, Barbara recommends the Wonder Waterer wand from Johnny’s. Certainly, you need a way to adjust the pattern and flow of the water. That could be a simple old style nozzle or the newer pistol grip variety. If you can still find one now, I still use a 30 year old solid brass adjustable nozzle which also has an internal high pressure jet for cleaning sidewalks, etc. This one weighs more than half a pound and I think Nelson made it but the only thing I can decipher on its well-nicked surface is that it was made in the USA (which also indicates how old it is). Older age allows me to see why the pistol grip style is so popular. They should be easier on the wrist. I have had only two units in almost twenty years. I bought the first one from Territorial Seed. At that time it carried a Toro brand but I suspect that Naan made it then as TSC was selling other Naan products. It really is quiet as the fall of the water against a fence or tree is the only noise your neighbor will hear through his bedroom window (very important at the time of day I water). Beside the normal 360 rotation, the little green tabs on the side let you adjust to less than a 30-degree arc pattern. The green slider on top allows you to adjust the radius from under ten feet to 30 feet. When I check the distribution with tuna cans, I have found a more even pattern than I’ve seen from others I’ve used. Seattle Public Utilities gives a description of the tuna can test plus a table to determine the timing necessary for one inch of water based upon your can results for those who falsely convince themselves that they are math challenged. How to enjoy acquiring your tuna cans for irrigation testing. I believe that large lubber hoses are the best long-term choice. But that does mean more expense initially. For example, the ¾-inch 50-foot Contractor hose is almost $1 per foot at ACE. Irrigation sand my vege drip systems will come later. What great information and resources you are posting for us, Gary! It is taking time for me to soak it all in but that is okay - my brain needs exercise as much as any other part of me. LOL, Tom, I wish it were so because we are garlic lovers in this house, too. We've talked a lot about soil make-up and what it means to watering methods and percolation rates so I thought it might be helpful to share this simple jar and water soil test. To make sense of your results, refer to this Reading the textural triangle paragraph. (patience, it takes a while to load). Hand watering is one of the gardener's great pleasures, hanging around in your garden without being accused of goofing off or even "being garden art". But for me it became an actual pain in my arm. So I created a solution, and posted pictures over in the Photo Gallery. magic wand. I don't have the pain anymore. Some laughter maybe. How unusual that is!! When I was younger, I think that I could have used a 20mm cannon with THAT PISTOL GRIP! Great articles, Gary. Tommy, LOL, I've never thought of hand watering as a way too hang out in the garden without goofing off! I have to say I do enjoy turning on the sprinkler every now and then to wet down the plants, cool the air and hand watering can be relaxing. But drip irrigation is so much more convenient. I can go do other things like the infernal weeding and I know the plants are getting water without wasting it. I get a lot of wind, particularly on the hot,dry days. It's great to know I can go on vacation and not come home to a bunch of dead plants. If there are other souces of cheap drip irrigation supplies, I'm all ears. Homeless Despot, LOL! At last minute I had to fill in early today helping an older than Lisa widow take her sailboat out of the water for painting, maintenance, etc. Irrigation Systems. In Reliable Rain, Howard Hendrix comments, “Over 5,000 years, the direction of irrigation has moved from the ‘macro’ to the ‘micro’ – from large-scale flooding to spot water application.” These irrigation skills were so highly developed 2,500 years ago that Cyrus was able to surprise and capture Babylon by draining the river into a basin by canal. His troops were able to walk up and down the streambed and past the undefended walls because the defenders thought the river impassable. In areas of Phoenix, residents still use the basin flooding method to water their yards. The LEPA system is a large-scale center-pivot system that waters beneath the canopy leaves of the crop, almost directly to the roots to achieve its efficiencies. When we speak of residential irrigation systems, most of us think of the buried hard or plastic pipe systems with various types of pop-up sprinkler heads and patterns to deliver the water as evenly as possible. The classic pattern is a square with nine heads; 90-degree heads on the four corners, 180-degree heads at the midpoints of the four sides, and a 360-degree head in the center of the square. But of course, few have square lawns let alone square landscape beds. I know of many systems that were installed in school fields and a golf course in the 1970’s that have had to be replaced after 20+ years. But few stay in their homes that long either. Hendrix’s book is a good resource if you intend to do it yourself or just become an educated buyer of an installation. The web also gives you access to the design information, even software, of the major manufacturers. And using the web, I found a Rainbird 4-head mini system that requires no trenching by using hoses to feed popup heads ($100). If you are a do-it-yourselfer, my personal recommendation would be to spend some of your savings on good quality equipment. Technology is also helping us out. Solar powered valves with buried moisture sensors, computer chips, radio links, etc. are still in the future for modest cost home systems but battery or solar powered timer valves have already begun to replace the underground wiring or large manifold systems. A simple piping loop for the water can be tapped and timed wherever and whenever necessary with a single $50 valve/timer. I use the heavier, 15 mil, high capacity, 40 gph/100’, tape with emitters 8” on center. I choose the 8” spacing because of my sandy loam beds on top of sandy soil. I also wanted to run 4 lines from a header lengthwise in each of my 4’x14’ raised beds. With a dozen beds, that meant I was talking about almost 700’ feet of tubing so I opted for the shorter life and $50+ cost of a 750’ roll. That would have put my tubing cost about $175. Though I hadn’t read his article or books in 2001 when I put in the system, we both come up with 4 lines for a 4-foot wide sandy soil bed. I also agree that the pre-installed emitter tubing is a better choice than plain tubing with self installed emitters. We also both installed valves on each bed assembly to allow the removal from the bed when spading, etc. I find that my four lines work with almost all vegetables and even when I run a 4-foot row across the bed. Those of you familiar with raised bed garden know that plants are ‘spaced’ rather than lined up in rows. Placing your drip points on an 8”x12” or 12”x12” pattern puts lots of water outlets around tomato plants spaced at 2’x3’. The spread of the water as it drops through the soil handles most any vegetable especially if you use successions of transplants and keep the bed busy year round. The uniform spread of like this is the main reason why I like the inline emitter tubing systems. I know that with 55’ of tubing in my bed that I am delivering 22 gals of water per hour. This is a far cry from my knowledge of the 50-foot of soaker hose that was my previous short term in bed system. Reich did some testing on the common recycled tire soaker hose. Hose with a manufacturer’s rating of 1-½ gals per foot per hour varied from a quart per hour after one season to almost 5 gals for unused hose. You will have to hand water freshly sown seeds until the taproots reach the wet soil depth. Close spaced peas, beans, carrots and beets are good examples of crops that find the water under a drip system with no trouble. The only possible exceptions could be closely spaced, shallow rooted crops like scallions. My garlic on 5”x9” spacing seem to have no problem though there does seem to be lots of dry top soil until you dig down to the bulb and feel how moist the soil is beneath where the roots are. “Lots of dry soil surface” may be the best advantage of drip irrigation. It sure cuts down on weed germination in the summer. I have found that the Wire Weeder designed by Eliot Coleman for Johnny’s Seeds to work very well around and under the tubing to eliminate weeds without risk of damage to the tubing. All of the above would be useful on a standard hose end system too. I would prefer to have a prv on my low volume sprinklers and other places as my 50 year old faucets don’t have a lot of fine adjustment left in their worn valves any more. How many times each week do you drive/walk by a yard where the heads are spraying paved surfaces because of lack of adjustment or maintenance. But the same can be said for the rectangular patterns of the ubiquitous oscillating hose sprinklers. Once your system is installed, you will need to keep inspecting its operation to see that your plans are being followed. gary wrote: "At last minute I had to fill in early today helping an older than Lisa widow take her sailboat out of the water for painting, maintenance, etc." Older than me? Well, that means she must be barely out of her twenties, right? LOL What was it that someone here suggested for stating one's age? (was it you, Deb?) Oh, yeah, I'm plenty-nine! btw, your chivalrous gesture lets you off the hook for posting info later than promised. Hubby and I are do-it-yourselfers. We installed our own sprinkler systems at both our current and previous homes. The most labor intensive part is digging the trenches. We used a Ditch Witch - or I should say, hubby used a Ditch Witch. The machine is large and heavy - it was beyond me to wield it. Engineer hubby designed our system but there is design help available for do-it-yourselfers. I'm not just talking about Homeless Despot (LOL, Tom!). Friends got assistance from the folks at Down to Earth in Tigard. Once the system is designed, installation is a snap. How easy you ask? Well, I installed the pipe and sprinkler heads for our current home. A little messy but not difficult at all. And surprise, surprise, 10 years later, the system still works. Even with efficiency ratings of 65%-80% (per Gary's info), that is still better for lawn watering than an oscillating sprinkler (I'm talking about the kind we used to play in as kids). We use drip systems in the garden beds. I've tried soaker hoses but I prefer the drip systems (although I should check out T-Tape, thanks for the link, Gary). "You will have to hand water freshly sown seeds until the taproots reach the wet soil depth." At first I thought you meant that you buried the T-Tape but now I'm wondering if this is because the T-Tape delivers water so efficiently that it soaks into the soil to root depth. Am I understanding correctly? "How many times each week do you drive/walk by a yard where the heads are spraying paved surfaces because of lack of adjustment or maintenance." Do you see my hand raised? I see this all the time. I tell my kids that the people must be trying to grow more concrete, especially when I see the same pavement covered with overspray from fertilizer treatments. I think it is a shame to see such disregard - or ignorance of better practices - for our water supply and water quality. The age dig was anticipating that you would ask if I was with Cyrus or the Babylonians when he captured the city. Actually, I missed the expected long siege as my wings melted as I was island hopping the Greek Isles on my way there. His irrgation trickery conquered the city before I could repair my wings. I did get there with another blond, Alexander, a few centuries later but then look what happen to him. Yes, the T-tape or any other good drip system will soak a spreading pattern through the soil as we discussed and the link showed above. For the same reason that it cuts down on weeds, it will not germinate shallow sown seeds well. But only gentle overhead does that task well and most just hand water. I just leave a 10 qt. plastic watering can by the newly sown row and touch it up whenever I walk by. "The age dig was anticipating that you would ask if I was with Cyrus or the Babylonians when he captured the city. Actually, I missed the expected long siege as my wings melted as I was island hopping the Greek Isles on my way there. His irrgation trickery conquered the city before I could repair my wings. I did get there with another blond, Alexander, later but then look what happen to him." Thanks for another useful link. I can see a revamping of our current sprinkler system for water savings and healthier plants in the near future. Drip system for landscape. Within your landscape, you could use the same lateral layout concept. In a densely planted bed of annuals and perennials, a spacing of 12” on sandy and 24” on clayey soils of your laterals would give you a grid pattern that should be adaptable to your layout. I agree with Kourik’s advice for using inline emitters at the same intervals, 12 or 24 inches, as your lateral spacing depending on your soils. If you have mixed drought tolerant varieties among your bed, you may want to use a grid of plain tubing and install the emitters around the plants based upon their water needs. Seattle recommends even excluding native vegetation from your landscape water as you would the driveway. From personal experience of the past few months, the water absorbing granules sure do help in keeping your potted plants moist. We have used them, SoilMoist, for the first time while growing flowers for our daughter’s outdoor wedding. In the heat of this week, they have required only daily watering. Since I haven’t lost my curiosity yet, I can testify that ½ teaspoon will absorb more than a pint of water. That was without any potting soil but with a recommended 2 teaspoons in a gal. pot, could mean that you are storing up to two quarts of water. Let’s stop reading me for a while and let me give you many of the sources I have been using. Weedless Gardening by Lee Reich, Workman Publishing. “With some trial and error I was able to figure it out. I have Hillsboro loam, 3 to 7 percent slope. Tons of info in the survey download (90 pages! - will read it later). ”If you post this for others, I suggest you tell them to remove the "soils" visible layer (remove the check by clicking on the square) until they have zoomed in to their lot. Until I did this, I was not able to read the map well enough to know where I was. Once I zoomed in enough, I added the "soils" layer back and got my answer. A quick look at Table J1b for her county, tells us that the top four feet of her soil have an Available Water Capacity of 1.9 to 2.5 inches of water per foot and the clay percentage, 18-27% in the 15-48 inch layer, is much lower below 4 feet of depth. There should also be info there about the amount of irrigation here soil can absorb per hour also. That page will also allow you to calculate the water savings if you move to ET based irrigation scheduling. Some folks near Eugene are growing plants, food, and seeds based upon their genetic families. It will give you some ideas to arrange your plants, look up water requirements of similar plants, etc. Start posting any of your questions (or remind me of ones I'ne missed) and I’ll see if the magic Internet can help me answer them. Posted: Jun-30-2004 at 8:42am | IP 204.124.93.249 Quote JeanneK Great articles, Gary! Thanks! Totally impressed with the time and effort you've put into this comprehensive report. Interestingly, the soil surveys don't record much for the urban areas. No real info for depth, thickness, kind, etc. for urban soils. Maybe due to no farm records for the areas? Interesting info about plant kinship too. Yes they are favored to ag areas just like much of the ET data I was able to find. I haven't compared an online with a print edition to be sure but soils are grouped in to 'families' and the similiarities should be transferable to the urban soil. The 'urban' may also be a realization that a lot of the top layer is lost during the construction phase so without test holes on each site, they opt out. I'm sure you'd want to know who was digging that 8 foot hole in your front yard, wouldn't you. And there are soil names like Chehalis in the Willamette Valley, so sometimes you can find the same soil in another county to get more info. ">snip< they are favored to ag areas >snip< The 'urban' may also be a realization that a lot of the top layer is lost during the construction phase so without test holes on each site, they opt out." I was wondering about that. Our area is relatively new construction. IME, construction tends to mess up the soils, either by removing the topsoil and leaving behind less desirable subsoil and/or impacting the soil structure through compaction during construction. I don't know if there is a reliable way to verify how much of the top layer remains on my lot. Perhaps I need to use the survey as a starting point and not as the final word. Ditto Jeanne's thanks for all the effort and great information that you have presented in this TOTW! Kids and pets is another way to do your own soil survey. And not just because they dig, do you know how deep you have to dig to bury a Bernese Mountain Dog? That's why I know that in the north lot the soil is soft white sand at 80". Fortunately, they were all teenagers by then and my son did most of the digging. One of my very favorite weekly garden columnists is Chris Smith. A column titled "Good enough to Eat" puts him ahead of all flower writers. Chris is a former extension agent from Kitsap County. His differing columns appear in the Sea PI (Thur) and The Bremerton Sun (Sat). He even quotes me sometimes as he did today. (I am assuming that you are the best-informed correspondent known as G. B.). Gary- Just wanted to say thanks for such great research and information. I have always enjoyed hand watering a lot- only the size of my gardens have grown and it seems with the dryer (?) summers - some of it has become a chore rather than a joy, too time consuming. I seem to be at the point I need to add alternative water systems to at least some of my beds. It will probably be spring next year, too much on our to do list this year already- but you can bet I will be printing this out to save. Just wanted to say thanks for all the work you put into this TOTW, since I have quietly read and not joined in the "conversation". Very good article Lisa. Thanks, Lisa, for digging out that article with Gary quoted. I wondered the same thing! LOL, Sydnie. Hand watering is relaxing for a small area but if I had to hand water everything, it would take hours! I already feel that it is time consuming just to water the pots. That drip irrigation is a life saver! I was following some links from the AgriMet site and found a California manual entitled A Guide to Estimating Irrigation Water Needs of Landscape Plantings in California. It is a large pdf file but plant lists in the appendix take most of the space. If you go to the 3rd page from the end, you will find an address to get your own free copy. Oh, wow, that is an excellent resource! I'm definitely going to get my own free copy. Thanks for posting this resource, Gary. I thought of another watering question. A general rule is to provide additional water during the first season (sometimes the second season as well) for newly planted plants. How do I determine just how much water is "additional water?" I have learned the hard way, unfortunately, that additional water means lots if the plant in question is a conifer planted in spring (they establish best when planted in fall). I watered my hinokis deeply and frequently (slow drip for hours) last summer and still lost 3 of the 5 I planted (ouch, hard lesson to learn!). Is the amount of additional water dependent on time of year, type of plant or is there a rough guideline, such as 50% more, regardless of other variables? Thanks for researching and answering all these tough garden watering questions. I intend to get hubby to read through all this material to help me translate it all (I can be a bit math-challenged, especially compared to my engineer hubby). For all, I am working on Lisa's question above and she has given me a list of plants from her garden for me to use as examples for the CA Landscape Watering Guide. I should have all up for you tomorrow AM (my am that is). As to this ‘math challenged’ thing, I think of 'math challenged females' the same as I think of hypochondriacs; both are victims of a self-induced syndrome. PS -- I don't believe in any syndromes either. "As to this ‘math challenged’ thing, I think of 'math challenged females' the same as I think of hypochondriacs; both are victims of a self-induced syndrome." Oops, I wasn't meaning to imply any male/female syndromes. I'm good at math, in fact I used to help some male classmates in high school with their math. I'm just not as good as hubby and definitely not as good as I once was because I don't use it regularly. It's true what they say - use it or lose it. Same is true for how rusty I am at several foreign languages. I have had 3 years of French, 3 1/2 of German, a year of conversational Russian and a 1/2 year of Spanish (oh, and a few choice words in Vietnamese - don't ask). But can I speak any of them now? Nope. When I try, I end up with my own unique language with all of them combined. LOL I guess I'll just have to be content with learning to be fluent in botanical Latin! I look forward to your next installment, Gary. Lisa’s sample list of plants is in the table below. The L, M, & H species are from The CA Landscape Guide. The Aurora, OR July ET is the average of the last four years. The mid range of the landscape factor for each evaluation is the ratio of the referenced ET for the location. Average July water need is the product of the factor times the ET. I have not applied any density or microclimate corrections. I'd like to emphasize strongly that her Solomon's Seal is the only plant on her list that requires the July watering requirements of Maritime PNW lawn grass. The other plants require 60%, 25%, or less water compared to good quality turf. This makes a strong case for separate controls/water cycles on each area if you live in a high water cost city (or have a 10' deep well). Lisa’s question on establishment had me ready to respond until I looked up her example. From the Arnold Arboretum at Harvard University, this is their recommendation for watering hinokis. “WATERING Because the Larz Anderson Collection consists of large plants in small pots, their water requirements are high. During spring growth, they need watering at least once a day. In summer, daily watering is the minimum on days when no rain falls, and often they require more. “To determine if a plant needs water, we place the palm of the hand on the soil surface. If we detect any moisture, we do not water the plant. If it is dry to the touch, we water it. The palm is less heavily calloused than the fingertips and therefore more sensitive. The rootball of a healthy bonsai behaves like a sponge, that is, water is uniformly distributed throughout its mass at all times, so the moisture content of the surface mirrors that of the base. 1. Do all necessary soil preparation for the entire area. 2. Install the drip irrigation lines on top of the soil. Hold the hose in place with U-stakes, placed every 4 to 6 feet . . ..
3. Use an overhead sprinkler to irrigate the entire area to premoisten the soil for planting. Wait one or more days for the soil to dry enough to be planted. The soil should be moist and easily crumbled, not wet and sticky. 4. Plant according to the landscape plan. Make sure each plant is 6 to 12 inches away from all emitters so as to prevent crown rot. 5. Hand water each plant with a garden hose to settle the soil and eliminate any air pockets. Yes, turn on the drip system and proceed with its normal operation! In another book Kourik wrote in 1986, Designing and Maintaining Your edible Landscape Naturally, Kourik showed some of the work from John Weaver’s 1927 Root Development of Vegetable Crops. One very striking drawing shows a mid-July lettuce plants root system when the flower stalk was 3 feet tall. The taproot is beyond 7 feet deep and the roots occupy a cylinder with a 3+-foot diameter. In sandy soils, the root area can grow to 3 times the canopy width (which is why my 50 year old apple tree needs no water if I summer water the lawn it sits beside). I then used my drip system as normal. I did have to add an irrigation cycle to that bed in the heat, as the lettuce root systems were not large enough yet to pull as much water as more mature plantings in other beds. Pole beans growing along the edge of that bed did have deep enough roots to handle the longer watering interval. The plants recovered in the one-hour water cycle with only a few leaves damaged among the 40 plants. These 40 plants share 50 cubic feet of sandy loam raised bed soil with some celery, chives and the 14’ row of beans. The bed sits on top of more very sandy loam to pure sand. The water holding capacity of the soil is much less than clay but the roots can easily grow “to the Max” as long as I keep the soil moisture up. I think that “soil moisture” is the answer to Lisa’s question. When we transplant in the fall, aren’t we near full moisture level? And won’t the roots be able to grow/spread until things dry up in the spring (March in 2004)? In planting at other times of the year, you will need to maintain that soil moisture level without the help of the cool, wet seasons. Is that 50% percent more? No, it is the ET level for good growth, be it a lettuce head or a Russian Sage. Well, I had some more questions for you but I realized as I read your above post that you answered them already! Wow, you're good! As I read the above recommendations for establishing new plants, I recalled a tip I learned from Lucy Hardiman that I used to do regularly but guess I've forgotten in the last year or two. This one works well for those of us who don't plan ahead for planting and don't want to wait 1-2 days after wetting the new area. Before planting, plunge the whole container into a bucket of water deep enough to cover the top of the container. Thoroughly soak the plant - wait for the air bubbles rising to the surface of the water to stop. Then plant. To the above trick, I add planting tips culled from Master Gardener training. Backfill 50% and water the plant (this helps settle the soil in, avoiding air pockets, which can cause root death). Finish filling the hole and water again. Form a small circular dam around the plant, as wide in diameter as the root ball. This helps keep the water in the root ball area, especially helpful when planting on sloped areas. The dam is only necessary the first year. Obviously plunging a large container into a bucket of water isn't possible (unless you're Ahnold). I think I have dunked a 5 gal size plant but I had to be careful of my back because a 5 gal wet root balls get to be very heavy! (I think I enlisted hubby's help). Kourik does mention one warning for your dam. In warm climates, drought tolerant plants are suseptible to crown rot so he says only to use the dam for the first week. Does that apply here? Don't know but I'd err on the side of caution when you are doing summer transplanting instead of wet season, rain aided stuff. I must get my scanner back in operation to insert an image of the table above for Lisa's planting and that requires finishing the painting in that room. Now (7/7/04) updated, I'd like to emphasize strongly that her Solomon's Seal is the only plant on her list that requires the July watering requirements of Maritime PNW lawn grass. Thanks to Deb, Lisa's Landscape Plant table is in the edited post above dated Jul 3rd. Take a look and ask your questions as I am learning faster than you are able to read my prose. "For how long have Trav and I been trying to convince you guys of the benefits of transplanting from 4" Pots??? (or smaller?)" You're right, Gary, there are definite pluses for buying smaller plants, not just $$ savings but they suffer less transplant shock and their size soon matches the larger container plant's size. For those reasons, I generally buy 4" or 1 gal size plants. But there are some plants I have splurged and bought in larger sizes. Some things don't regularly come in 4" size (majority of trees and shrubs). Sometimes I buy a larger plant because I need it to be a significant size *now* to provide the privacy lost due to a neighbor's actions. And sometimes, I buy larger plants to give a new area the feel that it isn't quite the raw garden it is. Wow, it is interesting to note how many of my garden plants require less water than the lawn! I have heard this rationalization many times over from naturescaping and water conservation sources, but I've never seen any numbers to show the difference. Not knowing any better, I assumed that many of my thirstier plants wanted as much water as lawn did. I can see I have some definite reworking to do of my landscape sprinklers. Thank goodness they are on a different circuit than the lawn (good point, Gary). Thanks, Gary! With the savings in water I will reap, I can buy more plants! I will be doing a 'last update' this weekend trying to answer all past questions on where to buy, wholesalers, etc., "slow and deep" vs. "shallow & frequent", and all the other questions in the 3+ weeks of posts above. Please check it out and send in your questions. Very timely, considering the heat we are experiencing. Thanks for following up, Gary. While hunting down other info on a google search, I came across a great resource (it often happens this way) with information regarding How to water your tree. It is for California but it had good information that I think we can use here. Gary, I have a question to add to your list . . .
A neighbor's landscape friend says that he adds those watersaver pellet products to the soil when planting new plants. He swears it helps them establish faster, especially during the dry season. I've always been reluctant to add this product to my garden since no one seems to be able to answer my question of "where does it go when its no longer useful?". It's not organic, as far as I can tell, so it seems doubtful that it will break down and just go away. Any thoughts/comments regarding its useful regarding garden watering? Is this perhaps a whole new topic and deserves its own thread? Note that Strawberries are the only crop listed which use/require less water than lawn or pasture. Remember also that only Solomon’s Seal on Lisa’s plant list required as much water as lawn and the others need 60% or less the water that good turf demands. Intensely grown vegetables require the highest water use but they also reward the conservation of water with faster paybacks on your irrigation investments. The benefits to concentrating your water to just the vegetable beds or rows is easy to understand as my beds occupy just 54% of ground surface within their garden rectangles. And this doesn’t count the outside ends and sides of the beds. Any concentration of water to just the beds pays off in lower water bills and/or bigger vegetables. Since I knew in 2001 that I was going to switch to ET based irrigation (Yeah, right, Gary), I chose my system components so that they drip 0.01” of water per sq. ft. per minute. All I have to do is water the bed for the ET number in minutes. The above isn’t how my drip system got designed but it sure makes it easy to see a 0.25" ET and set the timer for 25 minutes for the next day’s watering. The delivery efficiency of drip irrigation allows one to do light, frequent watering rather than long & deep. The inefficiency of most overhead watering almost requires that you water longer and with less frequent intervals to reduce the wind, evaporation, etc. losses. To do a field test for Trav, the skeptic, I am watering one bed of buckwheat once a week and a second one each day. Both water quantities are based upon daily/weekly ET’s. Both beds are full of 6-8” tall plants, were fallow last year, and given the same light fert application at sowing. Will there be any difference? We’ll find out in about 3 weeks as the beds get ready to flower. Phil Wood's "How to stop wasting water in irrigation system"
If your local water utility is still in the mode of low flow toilets, get your elected officials to wise up their staffs a get into real water savings during peak demand times not at Christmas when the family comes to dinner. Shopping is like gardening: sometimes courage is needed. I'm in Wilsonville, Oregon, on the southern border of the Portland metro area. There are tons of nurseries in our area, but the principal I've used holds for any wholesale operation: why not try? For example McConkey sells wholesale only, sign on door says so quite plainly. Boldly I entered, said "I need some 4" pots, all I've got is cash, may I buy some?". 500 pots (minimum size package) and $20 later, I left. Most areas will have irrigation wholesalers for the landscaping trade, search DexOnline or such, and just wander in and ask. You might find a minimum order of $100, or such, or not. You might be told "NO! ", you might not. Have your needs on paper, 25 of this, 25 of that, etc, and unless they offer, don't expect help. I've usually been looking for items which HD or Lowes don't carry, and from Internet searches have had some idea of price, but ask what the cost is if you are not sure of price. Ask for "price and availability of ......" when you call or when you walk in. I have done purchasing in my employment so maybe I have the "look", but it's all in your attitude and having cash. Give it a try! Maybe Tom’s work experience makes the difference in his success but it may be as simple as his line, “all I’ve got is cash.” I intend to walk into my local HD Fowler (Toro, Hunter, Netafim) and United Pipe (Rain Bird) wholesalers this week and ask for you. I have the advantage of knowing the local names from my golf course super friend and my son’s ‘college funds’ landscape installation work. Netafim is the Israeli company credited with inventing drip irrigation by the way. The brass quick connects are built for years of service and can take more abuse than their plastic counterparts. They also allow twice the flow of plastic quick connects. Brass and plastic Quick Connects are not interchangable. With the 12” emitter spacing and a 12” tubing grid, it takes about 75 minutes to lay down 1 inch of water. The newly transplanted items have received no extra water since the grid was installed. We did provide sun shields for a few plants the last couple of days. There is no mulch as yet as I’d like to get rid of some more weeds by removal before I cover everything up. For larger areas, the rotary heads seem to be the better choice and some cities are even rebating some of the costs of changing to them from spray type heads. My two lawn areas are roughly rectangular shapes of 30-foot wide grass so I will be looking at some heads with throw radii in that range. I will want to find the main water line into the house to start the system from. My son has already done the initial ‘back of the napkin’ design. I think I’ll wait until after he gets married next year to spend any more money. For now the grass is already a half inch higher than it was for the dinner and the lawn watering is stretched to once a week or longer. Soil Moist is an environmentally safe synthetic super absorbant copolymer. It is an effective water management aid designed to reduce the amount of waterings by up to 50%. Golf course applications include greens, fairways, trees, shrubs, flowerbeds, and containers. * Cost effective - lasts 3 - 5 years. If you sell it in 50 lb bags, it must be used for a lot more than potted plants. As I said above, we grew 2-dozen two-gallon pots of flowers for the wedding and using Soil Moist continues to work to hold the watering to once a day or less. Thanks, Gary, great information as always. So what happens to the water-absorbing crystals at the end of their life span? Do they melt away? I'm more and more tempted to use this product, especially when it's so dang hot and I feel like a slave to my containers (I will set up a system to drip irrigate them but haven't done that yet). But my concern remains what happens to the waste. Isn't polymer another name for plastic? If so, it seems there would be some residue left. Maybe I'm worrying over nothing but I would like to know. I know we have some chemistry savvy folks on the site. Can someone help answer this for me? TIA! SOIL MOIST is a synthetic acrylic polyacrylamide with a potassium salt base. "Potassium Salts of Fatty Acids...........1.015%"
That could be the 'spreader/sticker' component but maybe we've already got the stuff in our gardens. The California Landscape Watering Guide give some very good information on the watering needs of different microclimates. Microclimates exist in every landscape and need to be considered in estimates of plant water loss. Features typical of urban landscapes (such as buildings and paving) influence temperature, wind speed, light intensity and humidity. These features vary considerably among landscapes, resulting in differences in microclimate. To account for these differences, a microclimate factor (kmc) is used. So we have a range of a 50% reduction in normal water needs to a 40% higher than normal. So you need to know how to set your own microclimate factor. The microclimate factor is relatively easy to set. An “average” microclimate condition is equivalent to reference evapotranspiration conditions, i.e., an open-field setting without extraordinary winds or heat inputs atypical for the location. This microclimate is not substantially affected by nearby buildings, structures, pavements, slopes, or reflective surfaces. For example, plantings in a well-vegetated park which are not exposed to winds atypical of the area, would be assigned to the average microclimate category. In a “high” microclimate condition, site features increase evaporative conditions. Plantings surrounded by heat-absorbing surfaces, reflective surfaces, or exposed to particularly windy conditions would be assigned high values. For example, plantings in street medians, parking lots, next to southwest facing walls of a building, or in “wind tunnel” areas would be assigned to the high category. “Low” microclimate conditions are as common as high microclimate conditions. Plantings that are shaded for a substantial part of the day or are protected from winds typical to the area would be assigned low values. These include the north side of buildings, courtyards, under building overhangs, and on the north side of slopes. The high and low microclimate categories have ranges of values. For example, the low category ranges from 0.5 to 0.9. The specific value assigned within a category will depend on an assessment of the degree to which the microclimate will affect plant water loss. For example, trees in a parking lot which are exposed to constant winds (atypical for the general area) will be assigned a higher value in the high category than if the location was not windy. Conversely, a courtyard planting in afternoon shade and protected from winds will be assigned a kmc value in the low category, but less than that for a planting without afternoon shading. The Guide goes on to provide some examples of assigning these factors including some comments relating to my background. The new reflective windows are creating high needs for landscape water while they reduce the building air conditioning load. As to your own garden, I think that one can gain some information to shape their own landscape microclimates to reduce their water needs. Thanks, Gary, I think you provided even more information about why my plants in my newest bed are suffering more than I expected them to. Two hotter and drier years in a row, sandy soils, reflected sun off the fence, hot afternoon sun at that, competing tree roots, not-yet-established plants . . . I can see now that, while I thought I was providing sufficient water to this area, I was definitely underestimating the need, hence the poor performance. We'll either have to replace the drip heads with larger ones to provide more water at a time or get a different timer that allows us to increase the time beyond the 2 hr limit it has and set up different rotations for the areas. My shadier, established area is definitely a low microclimate. Even though this is also the area where I put my thirstier plants, the amount of water and the timing of the deliverly seems to be just right. Okay, next question . . . A relatively new design trend is to mix veggies in with ornamental plantings. Since it seems that veggies will require more water, especially at critical times of development, how does the gardener accomplish this on an automated system? Or can it be done on an automated system? The logistics may be easy but they haven't been apparent to me. Thanks for the additional information on the water-absorbing crystals. Gary, a huge THANK YOU for continuing to provide additional information in this TOTW waaaay beyond the one week requested for hosting. I didn't think there was that much to watering the gardening but I now see I was wrong. All of the information you have provided is making me more aware of my garden's water needs and how best to provide for them to keep my plants healthy. Rainy Siders, I think Gary deserves a standing ovation! Everyone ready? Okay, applause, please! Thanks so much, Gary, for a terrific and timely thread! . Yaaaaa! Cheer! Lisa, what about adding more drippers to your thirsty area instead of changing out the drip heads. Replacing all the drip heads isn't much fun. Mix veggies in with ornamentals that have similar water requirements. My concern would be getting the veggies the sunlight they need. That's why I place some ornamentals in the veggie garden not the other way around because the veggies are in the sunniest part of the garden. The sunny spots are reserved for plants that need it the most. This week's show on the Tacoma PBS station in on Water in the Garden. Check your local listings and watch. The second is magazine for landscapers. On their website, they have more than 80 articles under the irrigation tab alone. Some of the best chapters are on the "Politics" involved in the writing of water ordinances without and science or economics involved in the discussion. As a state capital resident with the planning department consisting of TESC grads, I can understand the threat. Oregonians might be lucky to have Eugene farther from Salem than Corvallis. My favorite water predjudice is the "Free" sign available to Olympia residents, "This Lawn is not dead, it's just sleeping". So what do these brown grass folks do with the dandelions the next spring? "Use Weed n Feed in the middle of an April shower?" I only have one neighbor, a former mayor, that I have seen hand pulling them. From Water Right above, Case Study 3, Soil-Water Issues Relevant to Landscape Water Conservation, has a great review of the soil part of our irrigation choices including a great photo of root mass compared to mowing height. Soils differ in their capacity to hold moisture. Heavier clay and silt soils hold more moisture. Sandy soils can lose moisture through leaching as it runs through the rootzone and down into the subsoil. Grasses with well-developed, deep root systems add sufficient organic matter to help hold moisture in the soil and thus prevent leaching. The texture of the soil texture (as determined by the amount of sand, silt and clay) and the amount of thatch (organic deposit between green leaves and roots) influence the speed of water penetration into the soil. In general, heavy soils have many smaller pore spaces and take water in slowly. Sandy soils with fewer but larger pore spaces take moisture more rapidly unless they are inherently hydrophobic, or hard to wet. Soils and thatch that are hard to wet must be watered slowly with small amounts of water applied over longer periods of time in order to prevent runoff. Sandy soils require less water to penetrate to a given depth. Loam soils need intermediate amounts of water, and clay soils require more water to reach the same depth. As solid particles in the soil decrease on a percentage basis, moisture-holding capacity increases and soil aeration decreases. So Sand needs to be water more frequently to match the ET needs because the soil can't hold much water. Clay holds much more water but can only absorb it slowly so you must use low volume methods to avoid run off that is almost non-existent for sand.